For as long as we have had conflicts, the theft and destruction of cultural property has been deployed as a tactic of war. But today, recognizing just how significant cultural heritage is to group identity, human rights and security, the international community is doing something about it. Through institutions such as the International Criminal Court (ICC), aggressors who attack cultural heritage and seek to destroy the other, instill fear, foment hatred and profit from such acts, are being punished. In September this year, the ICC sentenced Ahmad al-Faqi al-Mahdi – an Islamic militant who admitted to destroying ancient shrines in Timbuktu – to nine years in jail. He was a member of Ansar Dine, an al-Qaeda-linked group that controlled northern Mali in 2012. Al-Mahdi’s case – successfully prosecuted within a year – marks a significant step forward in combating the organized and systemic destruction of cultural property in war zones. 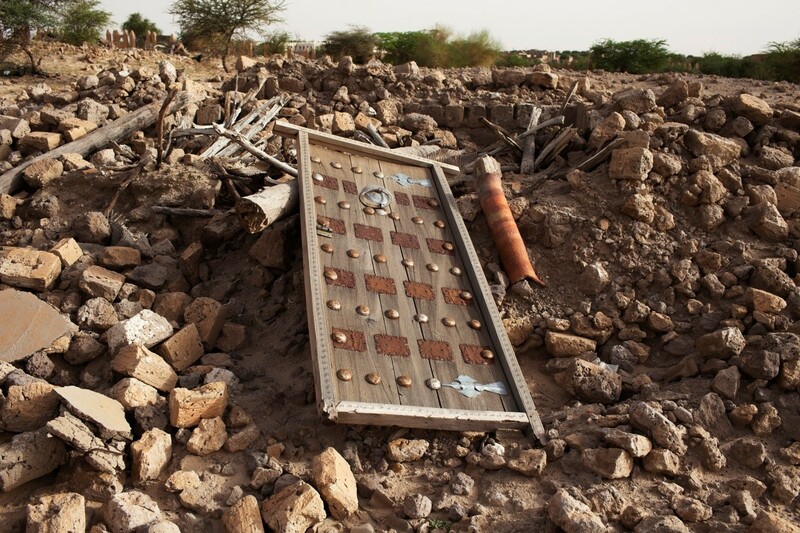 To start with, it was the first time the ICC prosecuted a case consisting solely of war crimes against cultural property, which highlights the gravity of such acts within the spectrum of cases handled by the court. Second, it builds the body of jurisprudence, which links attacks against cultural heritage with group identity, human rights and security. Human rights advocates have long argued that cultural heritage embodies a peoples’ identity and thus, ultimately attacking a group in effigy is an attack on the group itself. By successfully prosecuting this case, the ICC is playing a highly significant role in stigmatizing and bringing attention to these crimes. Third, it sends a broader message to those involved in similar acts in Iraq, Syria and beyond that their wanton acts against cultural property and peoples’ heritage will not go unpunished. Furthermore, this case sets a general example that helps strengthen the legal doctrine on cultural property crimes and enforces legal obligations, as outlined in various international agreements. This case builds on the good work already done by the international community, which has been proactive in condemning and warning those who are destroying cultural property in Iraq, Syria and beyond. In May 2015, the UN General Assembly unanimously adopted a resolution on saving Iraq’s cultural heritage, which indicated that the actions ISIS has been taking against cultural property in the region may amount to war crimes . 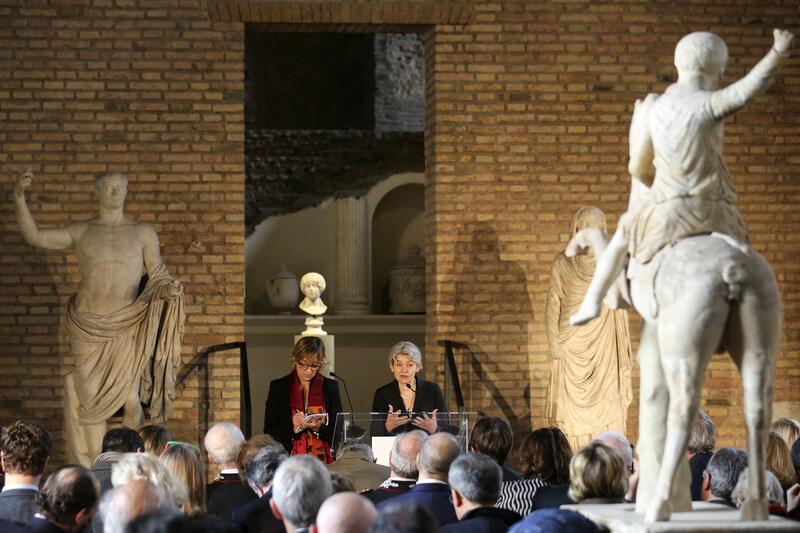 While this resolution is non-binding, UNESCO Director-General Irina Bokova noted that it serves as a message to those involved in “cultural cleansing” in Iraq and beyond that there is a broad international condemnation and the perpetrators will be held accountable. These efforts from the ICC, the government of Mali, Niger’s authorities and other international organizations involved in the process, such as UNESCO, should be backed up by the private sector. As well as destroying cultural heritage, terrorists are also seeking to profit from it. For example, there is strong evidence that ISIS and others involved in the conflict in Syria and Iraq are profiting from the sale of looted antiquities – or as they have become known in the campaign against such acts, “blood antiquities”. According to a Wall Street Journal report , looting represents the second largest income for ISIS, after the sale of oil. In September 2015, US troops gathered evidence that ISIS had established a Natural Resources department, which “regulated” the sale of such items. The US State Department claimed that while the total amount is unknown, ISIS has probably earned several millions of dollars from the sale of antiquities since mid-2014. The Iraqi ambassador to the UN, Mohamed Ali Alhakim , also noted that ISIS has earned “as much as $100 million annually from antiquities trading”. This statement was echoed by the Russian Ambassador to the UN , who claimed that “the profit derived by the Islamists from the illicit trade in antiquities and archaeological treasures is estimated at between $150 million and $200 million a year”. While the application of international and domestic criminal laws is highly welcomed, it is not enough to stop the trafficking of blood antiquities. In the spirit of the Sustainable Development Goals , art collectors, museums, archaeologists, private entities and national governments should work together in a public-private initiative to prevent such items from entering the legal realm of commerce. In a concerted effort, a public awareness campaign against blood antiquities (perhaps involving social-impact media, such as television dramas), stronger legal doctrines both internationally and domestically, and increased cooperation among stakeholders may create the necessary momentum to help save our collective cultural heritage and preserve the identity of people living in war-torn places.